Webb has said “let it be known that her boyfriend is a huge Dallas Cowboys fan”. 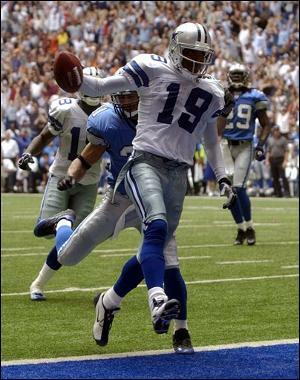 Finally, the Dallas Cowboys have ended their losing streak, thanks in huge part to TE Jason Witten and the ability of the always controversial Keyshawn Johnson who caught 2 Touchdown passes in today’s Dallas victory over the Lions, and in both ocassions he gave the ball to handicapped fans on the stands. This gesture without a doubt, one of the most welcomed of all his arrogant attitudes, shadows whatever he has said during his famous frustrations and demonstrates that the man has a heart exactly of the same size of his comments. In my opinion, they need to give this guy the ball even more times. This will make lots of Cowboys fans very happy, and a few of them may certainly take a memorable break for their long and painful days, which Keyshawn seems to understand, given his generosity towards them all.